Like most couples, you have probably spent hours and hours of planning as well as a significant amount of resources in hopes of making one of the most important days in your life, a perfect one. When hiring a photographer for such an important event, you should be looking for a photographer who is not only an excellent Portrait Photographer, but also someone who is skilled in Photojournalism (candid and spontaneous moments), Architectural and Landscape Photography (being able to capture the venue in an artistic way) as well as Product Photography (being able to capture the dress, shoes, tables, cakes, party favors, etc… in a unique and effective way). It takes a well-rounded, experienced photographer to capture your wedding day in a professional, beautiful and creative way. In addition, it is of utmost importance to have confidence in your photographer’s professionalism. I have worked with and earned a great reputation with some of the most demanding clients including Burger King, Labatt’s Brewing Company, Lambda Legal Defense and MacKenzie-Childs among many other local and regional companies. Understandably, in addition to confidence in the ability to produce great images, they also expect and deserve the utmost courtesy and professionalism. The last thing you or your guests want is an unprofessional, inexperienced newbie or weekend photographer acting in unprofessional manner which will be embarrassing to both you and your guests. Many hours will be spent coordinating, organizing, communicating, etc.. prior to and after your wedding day. Dealing with a professional photographer with years of experience with all kinds of clients will make your experience so much more pleasant and stress-free. Please be aware that many years of reviews that have been posted on Google have been deleted (over 20 customer reviews – not just weddings). When I inquired as to why, they said that they re-vamped their ratings page and in addition number of positive reviews was “more than normal” and therefore in order to keep a fair playing field, they have “deleted all reviews”. This has been very frustrating to myself as well as the clients who have taken time out of their busy lives to write a review because they were so grateful. So in response I have just recently started asking brides and grooms to send reviews to me or one of the wedding review sites instead of Google. The following represents just a fraction of some of the reviews I have received from past couples. After careful research, I found John. He was first recommended by a friend of a friend, who runs her own salon business and has worked with many different photography professionals for various occasions, as requested by her clients. When she told me that she now, exclusively recommends John, well, that was saying something special. I expected his services to be quite expensive. So, I was THRILLED to find out that his services cost less than most others, who provide much less personalization. The one thing I knew for sure was that I wanted to remember this as OUR day, unique to us. John did not disappoint. He is a true professional who accommodated our needs and requests. He responded quickly and i was pleasantly relieved and comforted by the ease of communication. He listened to our needs, offered suggestions and made this part of our wedding planning a breeze. The best part – I could not be happier with our photos! In fact, he exceeded my expectations. We were BLOWN AWAY! Thank you so much!! John is an extremely talented and Professional Photographer and my wife and I were overwhelmed by the quality and artistic aesthetic of the wedding photos he shot for our special day. This guy should be shooting Hollywood weddings, he is unbelievably talented. I’m a designer by profession and tend to want the best of everything for my wife and I, so as you can imagine I can be a little picky, but I let John do his thing at the wedding and now when we show our album to others they think that we flew some photographer in from NYC or LA. If you want wedding photos that will remind you forever how magical that day was then call him now! John photographed our wedding for us. We were struggling trying to decide if we could afford to spend the extra money on a professional photographer as opposed to some of the amateur photographers you see on Craigslist. At first I was a little nervous because his prices were so low and I wondered if he was going to match the quality I had seen on his website. He cost a little more than some of the others on Craigslist, but far less than most of the professionals we contacted. In short, he went beyond our expectations. John is a gifted photographer. You can see and feel his enthusiasm. – he truly loves what he does and his amazing pictures are the proof. Not only did we find the photographer who will be taking our family pictures for years to come, but also a caring and gentle spirit. You simply will not find a better photographer at a better price. What can I say? John is an AMAZING photographer. He photographed my wedding and when I saw the pictures I literally cried. He captured the day perfectly. What was most surprising was that although his prices are much less expensive than many other photographers, his work excels beyond many of them. I cannot recommend John enough for your wedding or for any other event. He is simply the best photographer at the best price! Thank you so much John. 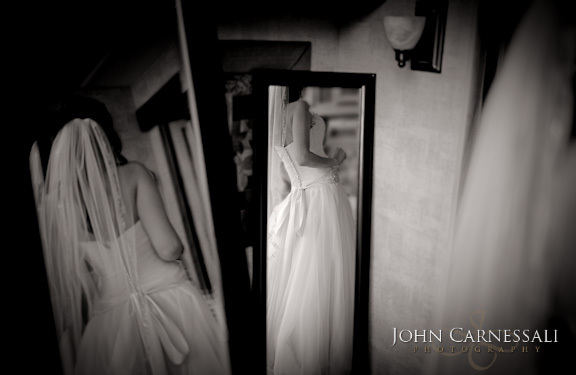 I recently used John to photograph my wedding ceremony and reception. From work I saw that he had done, I had very high expectations. When I saw the pictures he took, they more than exceeded what was expected. They were breathtakingly beautiful. If there is a category above superior, John’s photography fits in that. He captured the sheer happiness that was felt that day. Every time I look through my pictures, I am able to relive each moment and feel as if I’m there again. It’s amazing that his work is capable of reproducing such an emotion. John Carnessali is a truly gifted, top notch photographer and person, and comes very highly recommended by me. John Carneselli is the best photgrapher I have ever meet. He was at our wedding for over 8 hours and did an amazing job at a unbelievable price. My wife and I meet John through a mutual friend. While we were shopping for photgraphers we visited John first. After our meeting with John my future wife said, “I want him to do our photos.” The shopping for phtographers was over. Mind you this was after we visited 3 DJ’s before we made a desicion on one, 3 wedding venues before we made a desicion on one, 3 videographers before we made a desicion on one and we choose John on just one visit. I called John the next day and gave him the deposit and every step of the way was done with professionalism and care. John is a great people person and I will admit I hate getting my picture taken but John made me feel so comfortable. John took the most amazing pictures I could ask for. Our wedding was at Belhurst Castle and let me first tell you he captured that day perfectly. John did such an outstanding job that he has earned a customer for life. I will use him for future family events. He is not only a great photographer but a great man. Mark L.
John was awesome to work with! He was completely flexible and even stayed extra to capture the last hour of our reception! The pictures he took were amazing, nothing that I have seen before. I highly recommend him for an photography you need! John is a truly gifted artist. The unique way he sees color and light is amazing and this is evident in our beautiful wedding photographs. Aside from his artistic talents, he listened to what was important to us and delivered exactly what we were hoping for. John is incredibly professional and just as important, he has a calm and peaceful demeanor that really made us feel comfortable. John is an amazing photographer, we loved all the photographs he did for our engagement shoot and wedding! John and his assistant really made our wedding day flow well, and made our day amazing! He made the atmosphere stress free and comfortable, we loved working with him! John and his assistant were wonderful at my wedding. He was very easy to work with, professional, and made sure that we had everything we wanted. It is clear that he cares about his work and his clients. I would absolutely recommend him to anyone and would use his services again if needed. John did an amazing job with our wedding. John was very helpful in the weeks leading up to the wedding, meeting with my wife and I to go over which pictures we wanted to have and the order in which they would be taken. He was flexible on the wedding day, showing up early to get pictures of the venue. I don’t remember seeing John during the ceremony or the reception — he was somehow able to blend in with the guests and still capture seemingly ever incredible moment from that night. He also did a fantastic job of balancing staged photos and candid ones, since it was very important to my wife and I that we would actually get to enjoy our wedding night and not spend it all posing for pictures! Overall, John’s rates were very affordable for the amazing quality of pictures he delivered. We got so many compliments on his beautiful work. We would highly recommend him for your wedding! John was extraordinarily nice and good to work with. His rates were fair and the product was great. He was also very flexible working to find the right budget for our needs as well as right digital format we wanted the photos in. We found him independently but then realized he had done a photo shoot for a family member. As soon as we made the connection we booked him immediately because we remembered the photos for our relative were so outstanding. Our wedding photos turned out wonderful too. Here you can see some reviews from a wedding review website.